More and more clients complain about stress and anxiety during the holiday season. As we are in the midst of the fall/winter holiday season, we are deluged with suggestions on how to make our holidays pleasant, warm, and memorable. Buy this or buy that and you will be happy. Go to this concert and your life will be changed! The list is endless - buy, buy, buy. Bigger, better, and instantaneous happiness is a mantra threading its way through media. Relax. It's time to reflect. As I look around my desk, I see a carpet stained by decades of use, but soon to be replaced by new carpet. I look at the freshly-painted walls and smile. The color pleases me. My office is my sanctuary where I can sit and fill in words to stories yet to come. It's been a year since we decided to improve our home. The changes are slow, but permanent for us. While writing in this room, I am happy and my mind is not flooded with thoughts that have the potential to disturb my mental balance. The holidays are much more complicated now than when my children were young. When I was the boss. When I knew what to do. As we grow older, our roles change, and sometimes we do not know how to fit gracefully into those new roles. Worse yet, some of us don't even know the rules and what our new role is to be. I'm constantly amazed at the folks who seem to have the perfect families - the perfect meals - the perfect home. I'm doing something now that I caution my clients about - comparison shopping. 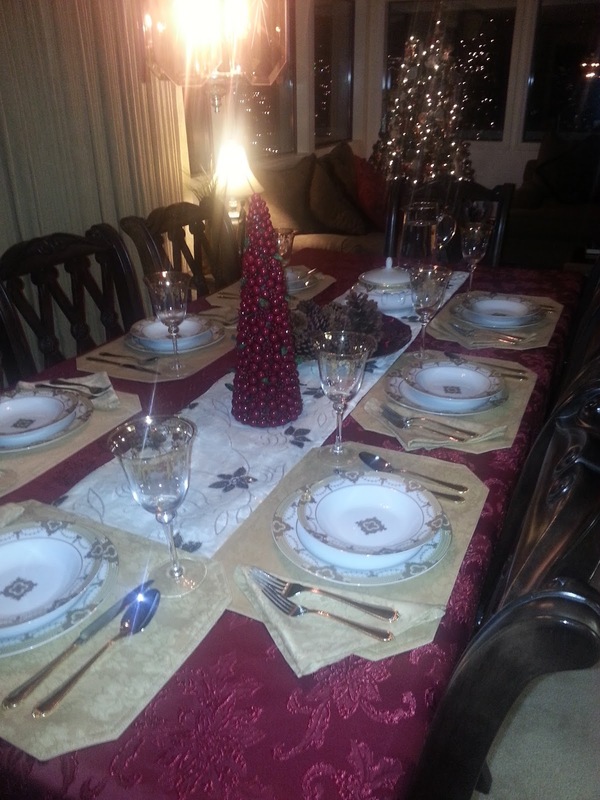 Newly divorced or separated folks have an unknown path to tread during the holidays. Will they be alone? What does it all mean? Is love around the corner? Will they have enough money to survive, much less splurge on gifts and holidays treats? Ah, back to the office thoughts....This redirection is a strategy one can use when things become too difficult or too negative. Changing the dynamics in my office was easy. I found a color of paint I liked and found someone to apply it to the walls,. Simple. Family change not so easy. First of all, we don't get to choose who will be in our family. We are not sure about their colors. Will they or will we like it once they join the family? Is this a permanent change? We are not in charge of that. We can decide to control our thoughts, however. We can adopt a positive attitude, even when we feel we are in a sea of negativity. We must grab on to those positive vibes throughout the journey. No, it is not easy. It is much easier to get caught up in the trivial, the mean-spirited comments on social media, or lack thereof, and the heightened anxiety of the season. So, what is a person to do during the holiday season? 1. Remember everyone is doing their best, no matter what you think. It is their best at the time. Be patient with the world. 2. Hold on to loving thoughts. Chase away the negative! The positives should outweigh the negatives in your mind. 3. Exercise. Doing so helps clear the mind and balance the soul. Just walking around the block helps. 4. Watch out what you eat. During the holidays, we must be vigilant about our nutrition intake. Make wise choices. You don't have to deny yourself any pie, but one piece as opposed to the entire pie makes better sense. 5. If you are religious, go to church. Pray. Watch a YouTube video of someone's preaching you like. Learn, learn, learn. 6. Be sure to get plenty of sleep. Research shows that those who get less than seven hours of sleep end up having a more difficult time dealing with every facet of life. 7. Volunteer to do something nice for someone. Help out at a soup kitchen. Make a few homeless bags to give to those far less fortunate than you. Babysit for a neighbor. Take a friend to lunch. Be proactive. 7. Remember this life is temporary. It will be over before you know it. Why not enjoy the trip while you are here? Invite those who please you to join your table this holiday season. It might even be a good idea to invite those who do not please you. It might be that your dose of love and acceptance is exactly what they need.